The BMP-1 is a Soviet amphibious tracked infantry fighting vehicle.was first tested in combat in the 1973 Yom Kippur War, where it was used by Egyptian and Syrian forces. You will get a first-hand experience via one-to-one instruction on how to drive a tank! Upon arrival, you will be given a safety briefing before driving. Your 1 drive around tank course of approximately 15 minutes followed by at least 30 minutes as a passenger with your Tank driving instructor. This program last app. 45 minutes. The BMP-1 APC replaced the BTR-50 series of APC. It was in production for 20 years before being replaced by the improved BMP-2 series of APC, detailed elsewhere on this site. The BMP-1 can carry a complement of 8 combat-ready soldiers in the rear, seated in two rows of four, back to back and provides the passengers with firing ports and periscopes so infantry can engage targets and protect the vehicle. The BMP-1 APC appeared as a shock to observers in the West, for up to this point APCs were mainly infantry carriers and nothing more. 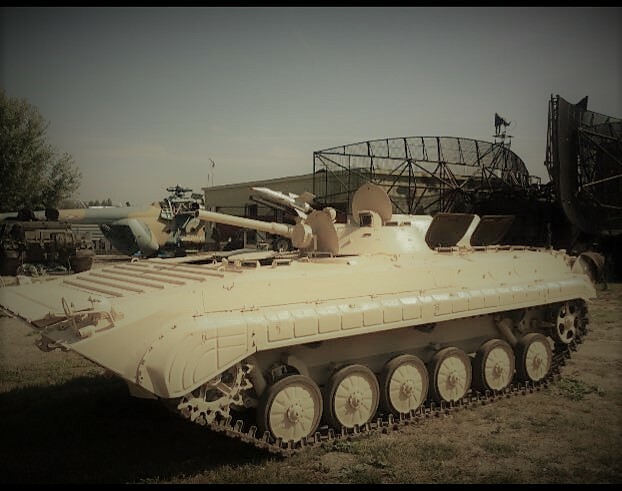 The BMP-1 broke new ground with the addition of a turret mounting a 73mm cannon and an anti-tank wire-guided missile system, effectively retaining the qualities of an APC while introducing aspects more in common with a light tank. The introduction of the BMP series forced NATO nations to take it upon themselves to develop similarly-armed systems.